For your daughters wedding you want everything to be perfect. From the flowers, to the dress you wear. 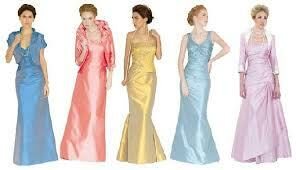 Dresses for the mother of the bride should be beautiful and modest without upstaging the bride. The dress should also be appropriate for the current season and venue. A great dress for the mother of the bride to wear is a dress that is strapless and knee length. The dress fits well with summer because of the temperature. It also is short enough to be comfortable but long enough to be modest. The dress can be paired with a coat with sleeve length just below the elbows. A capped sleeved summer dress would look great on any mother of the bride. The dress is modest, yet elegant. The capped sleeve look pairs well with any neckline or dress length. If the material is light enough, a floor length dress would be perfect for a summer wedding. A long Sleeved knee length dress is perfect for fall. The sleeves can go all the way to the wrist or stop at the elbow. The neckline can be anything from sweetheart to vneck. The knee length style can feature a-line design or a ruffled skirt. 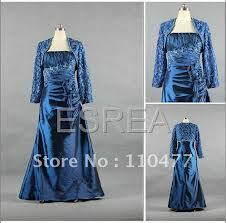 A three quarter sleeved floor length dress for the mother of the bride is perfect for the occasion. The sleeves can come down semi-tight around the elbow area or flow out. The neckline for these types of dresses can vary from v-neck, a-line, sweetheart or square neck. The floor length can feature a ballroom skirt, mermaid style or a-line. A sweetheart neckline is one of the most used necklines in dress style. It puts a bit of emphasis on the breasts, without being overbearing. 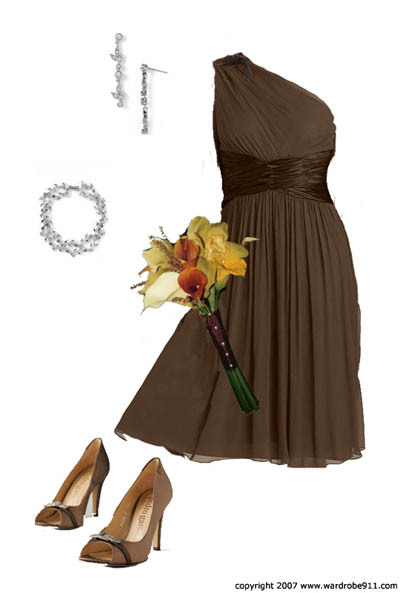 The sweetheart neckline paired with a knee length skirt is perfect for Spring weddings. The knee length style can feature an a-line skirt or one that is ruffled and flows. The waist can either be imperial or no waist emphasized, which makes it to the number one spot on our list of the best dresses for the mother of the bride.